Airboats are propeller driven V-8 engine, flat bottomed boats capable of working in shallow water, ice and broken ice, muskeg, swamps, and on dry ground. 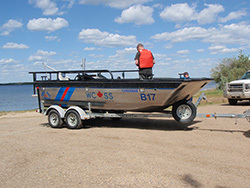 These boats can be used as safety boats or to deploy equipment and carry 500kg of personnel and equipment. Require at least a 3/4 ton or 1 ton truck with a 2-5/16" ball. 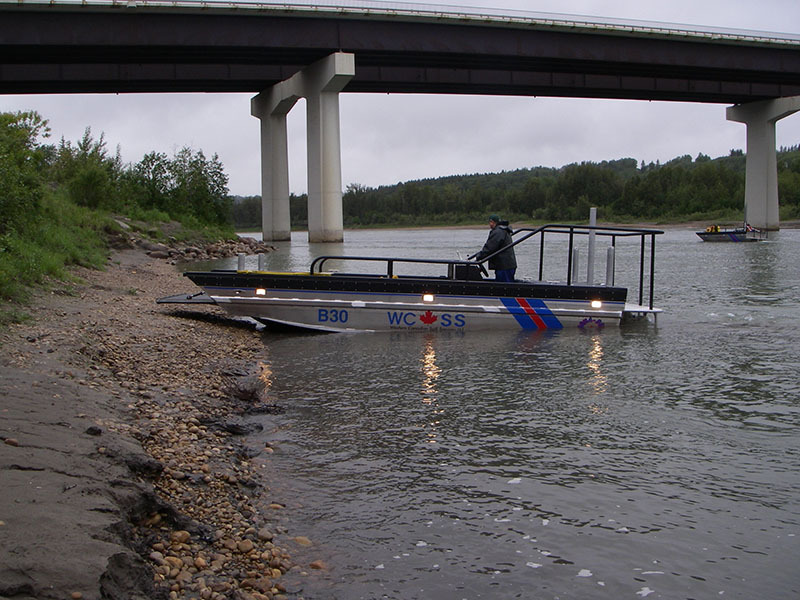 The barges are 8m long X 2.5m wide response vessels which are ideal for hauling heavy equipment and personnel to remote locations on a river and provide a stable working platform. They have twin V-8 engines with jet drives and can operate in as little as 30cm of water. 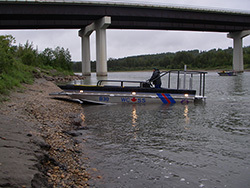 Barges weigh about 4000kg and require at least a 1 ton truck with a 2-5/16 ball. 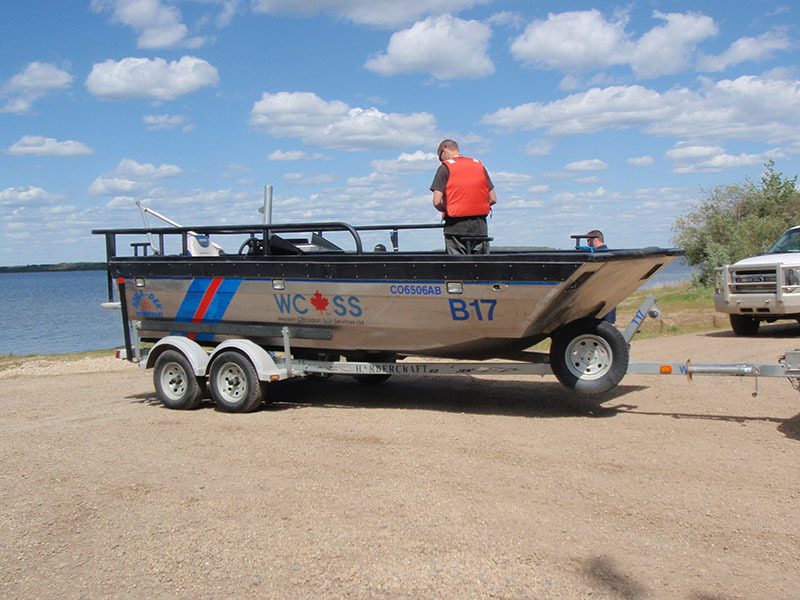 There are numerous single engine response vessels in the fleet, ranging from 16 ft flat bottom boats with outboard jet drives, to 22 ft inboard engines with jet drives. Although handling characteristics vary with each design, all are capable of hauling equipment and personnel and deploying equipment. 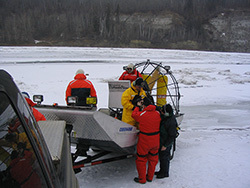 The workboats can be hauled with a 1/2 ton truck with a 2" ball.